Proceeds from this year’s Tattersalls Ireland July Show 2018 went to St Francis Hospice, a cheque for a staggering €25,000 was presented to them during the Tattersalls Ireland November sales. St Francis Hospice is based in Blanchardstown and Raheny and provides palliative care, day care, bereavement support, therapy, physiotherapy and outpatients clinics. 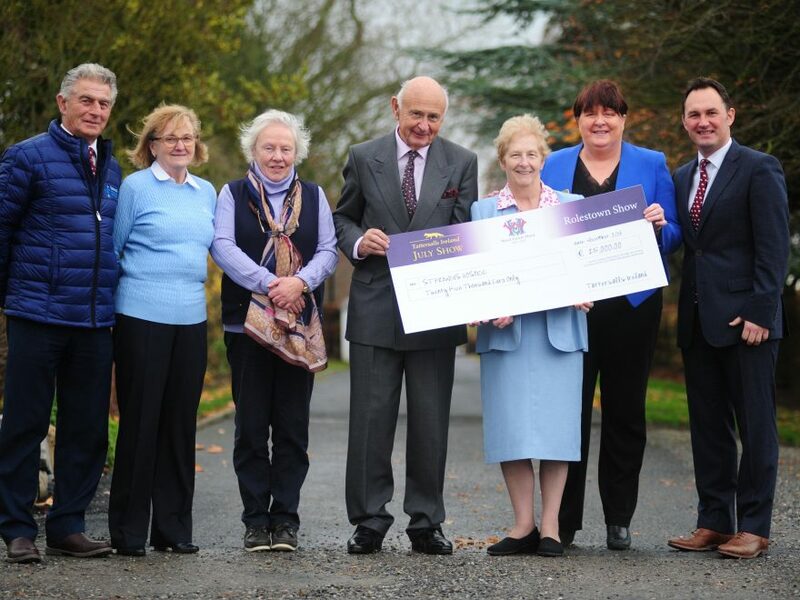 Pictured left to right: Eugene O’ Neill, Gladys Graham, Orla Griffin, Richard McElligott, Sr Margaret Cashman, Dee Kinane and Roger Casey.